Located roughly in the center of the island, the Cantabon Cave can be found at the mountainous side of Mt. Bandila-an in the Barangay of Cantabon. 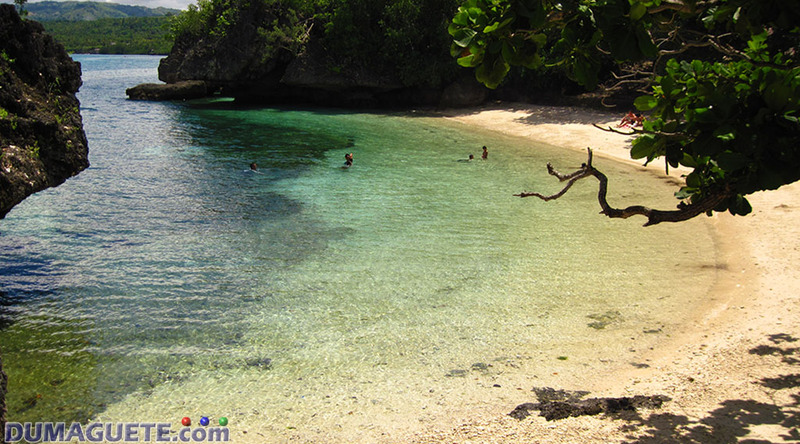 The cave is one of the most visited tourist destination in the island of Siquijor with its impressing 800-meter-long cave. One can easily visit the Cantabon Cave by riding local transportation like tricycle. Since it is one of the most visited tourist destination in Siquijor, most tricycle drivers know where to find the Cantabon Cave. 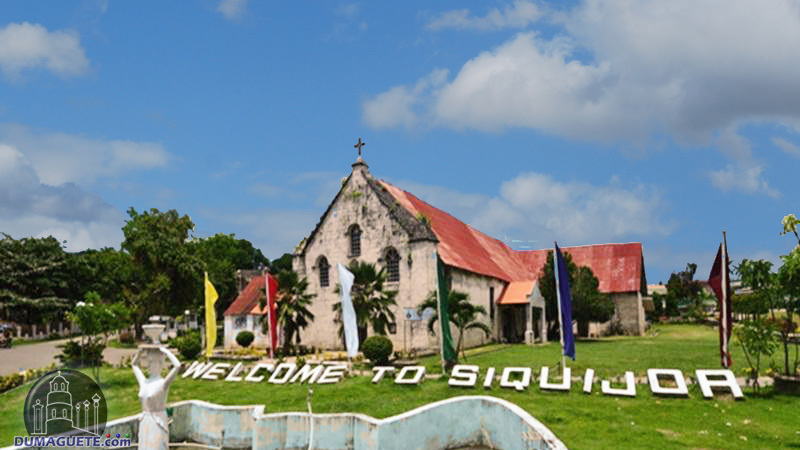 It will take about 20 to 30 minutes ascending the mountain side of Siquijor. 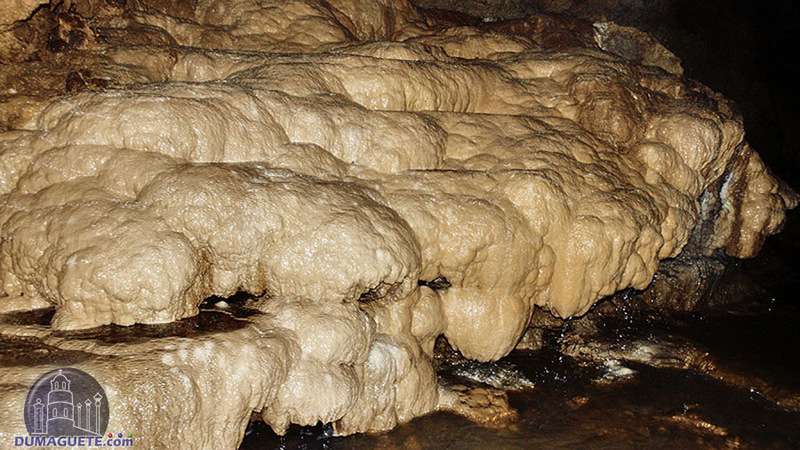 For group travelers, a tour van and guide will be highly recommended for the round trip to the Cantabon Cave. It will take about more than 2-3 hours to explore the said 800-meter-long cave of Cantabon therefore be prepared for a transportation going downhill. A refreshing garden can be seen at the entrance before the Cantabon Cave. Be prepared to bend, slide, flex, crawl, be wet and dirty. But most of all prepare to be amazed. Bring waterproofing devices to protect your phones, cameras and other gadgets since the ceiling has continuous water drips. One can wear slippers; however, appropriate aqua shoes and sandals are highly recommended. Featuring an underground river, the live cave has an astonishing sight of white rocks, flowstones, columns, stalactites and stalagmites reflecting through the water. It can be very dangerous especially during wet and rainy seasons. 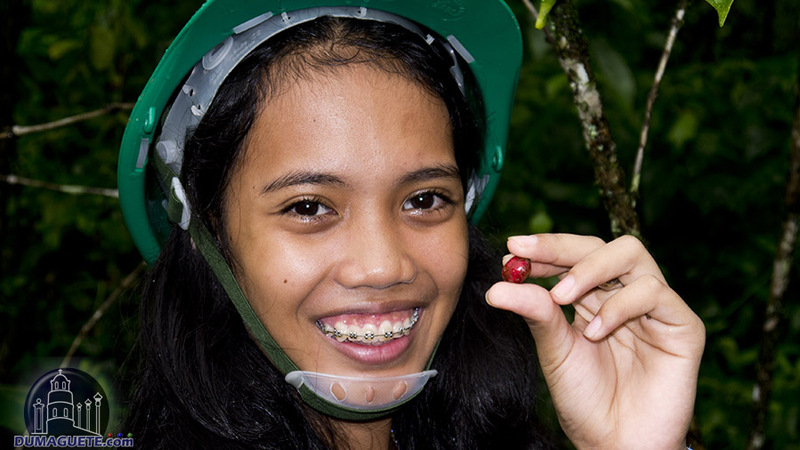 Tour guides, entrance and caving fee can be paid at the entrance of the Cantabon Cave. The fee will include helmets for protection and a few flashlights since it is quite dark inside the cave. 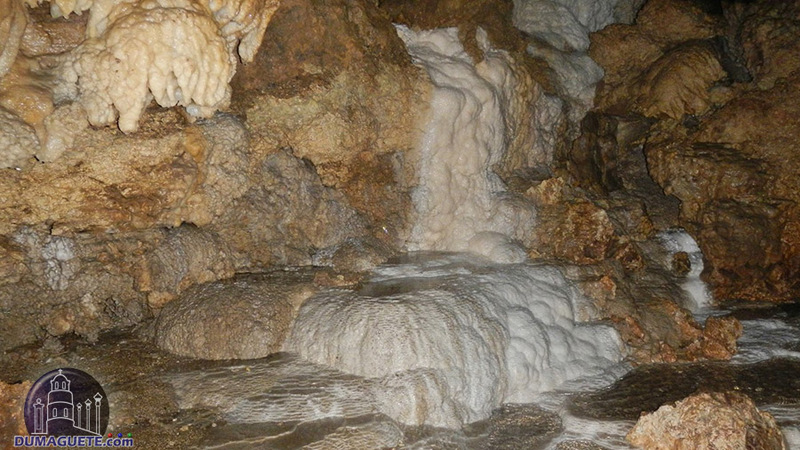 Everything in the cave is extremely eye catching and thrilling. Some areas to look forward to is the terraces formation, “King’s Bed”, “Shower Bell” and the “Angel’s Bath”. 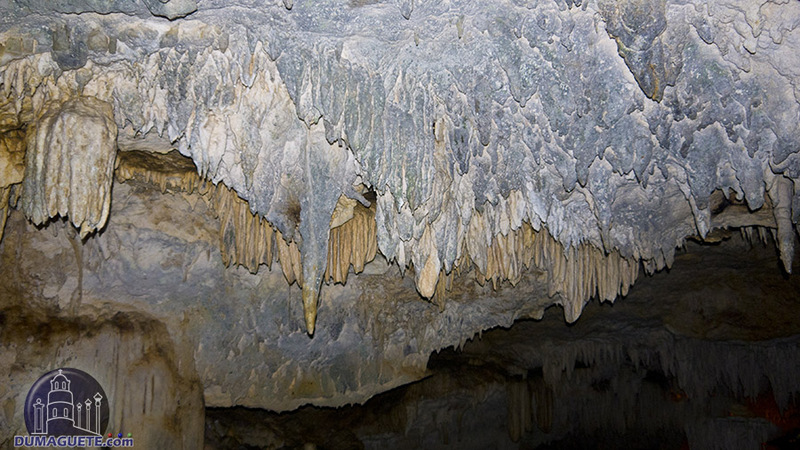 The “King’s Bed” is a made of rich white mineral with clear waters that sparkles when lights hit it while the “Shower Bell” is a stalactite that has an odd shape of a bell. Water flows that flows under the ‘bell’ is said to be healing water and is drinkable as recommended by the tour guides. No major cases have been reported regarding the water, therefore it is safe. The “Angel’s Bath” on the other hand is made of a small pool that forms an angel wing. Upon reaching the end of the 2 to 3 hours caving experience at the Cantabon Cave, all those bending and flexing will be worth the sight. 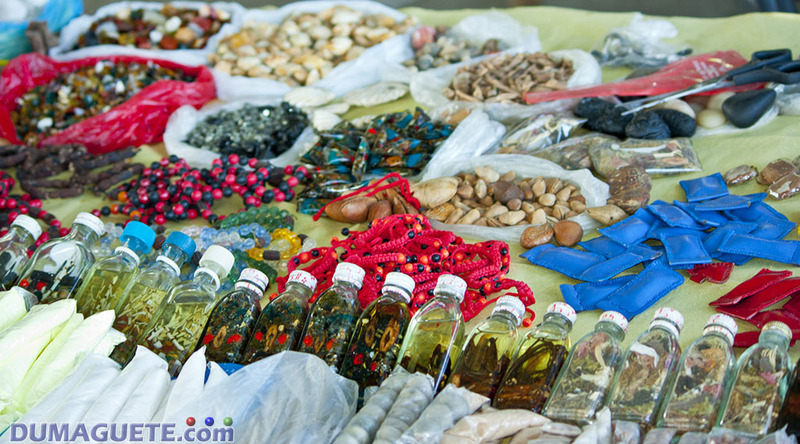 The Cantabon Cave are very strict as well in preserving the cleanliness of the area. 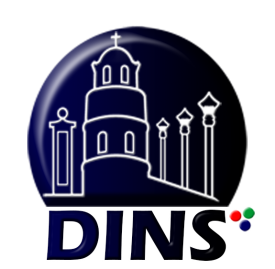 Tourists who leave their trash or destroy the cave formation will be charged an amount as high as Php 1,000 per violation. 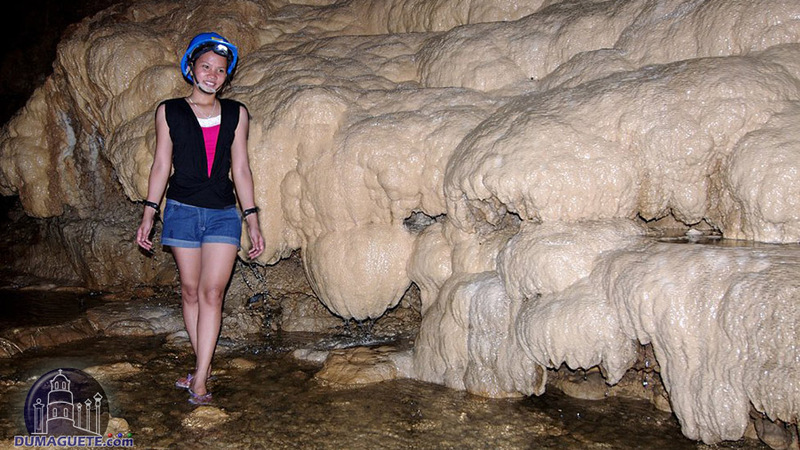 Once in Siquijor, don’t miss the caving experience Cantabon Cave has to offer.